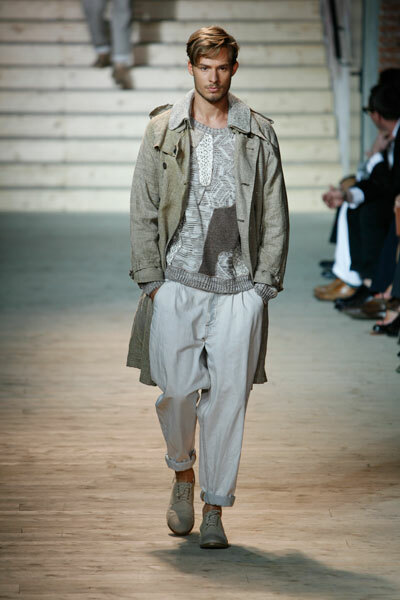 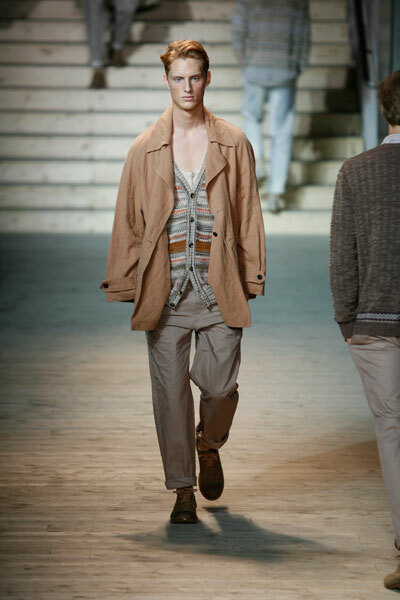 The Missoni-man is ‘a nomadic romantic’, said the shownotes – but on the catwalk walked a more humble man who was trying too hard to be that guy. 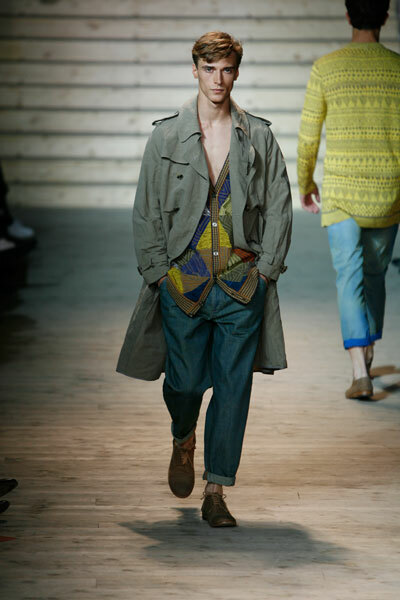 The clothes looked like they were patched together from faded old bits and pieces. 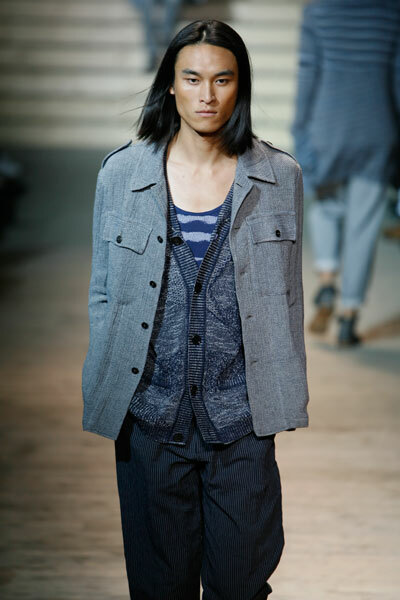 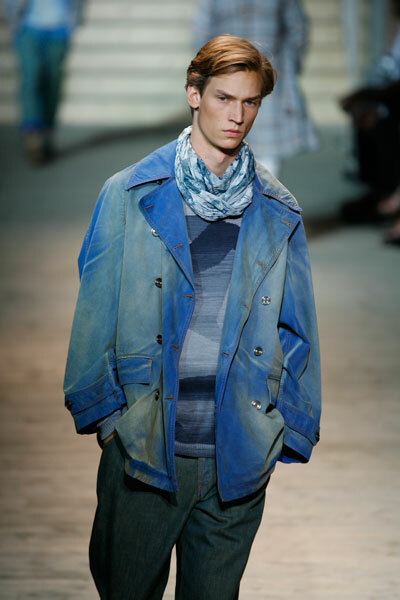 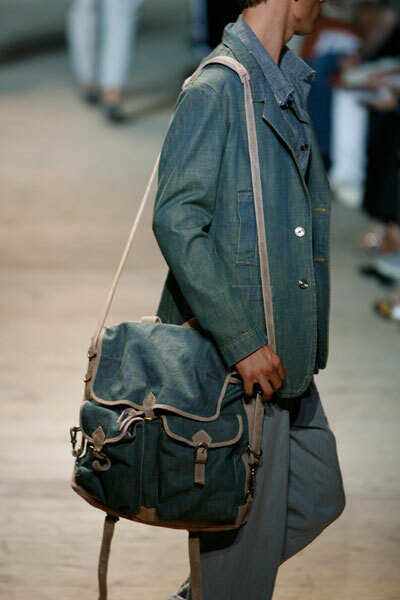 Chambray and denim were a simple, effective counterpoint to Missoni’s signature jaquards. 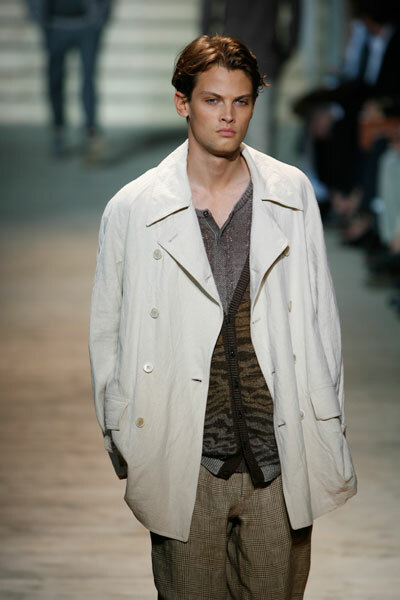 Designer Angela Missoni used tone-in-tone weaves instead of different colors.